Simply double your storage capacities! 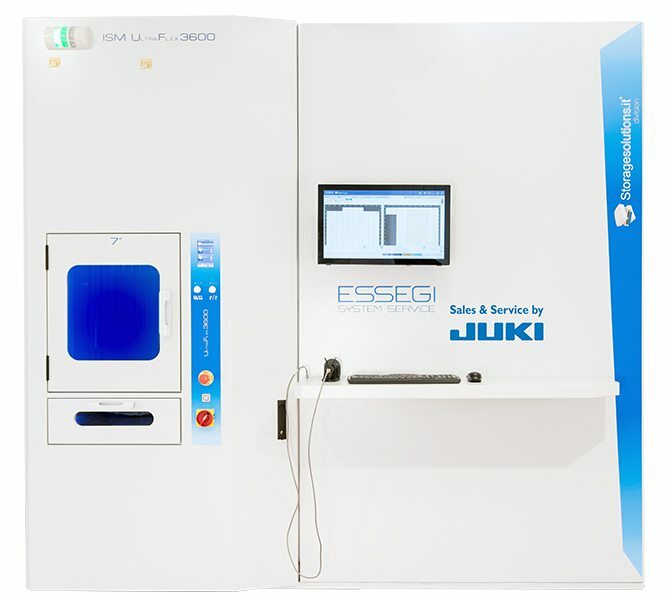 JUKI’s ISM UltraFlex 3900 is a real space wonder and represents a thought-out solution as extension module for the ISM UltraFlex 3600 to efficiently use space in the warehouse. In combination with the ISM UltraFlex 3600 storaging up to 7,500 (7“ and 15“) cases can be realized. 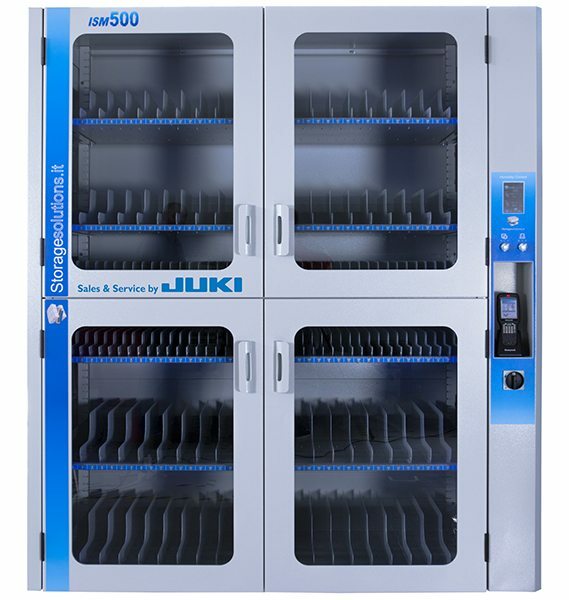 Operation and handling is exclusively done via the ISM UltraFlex 3600. 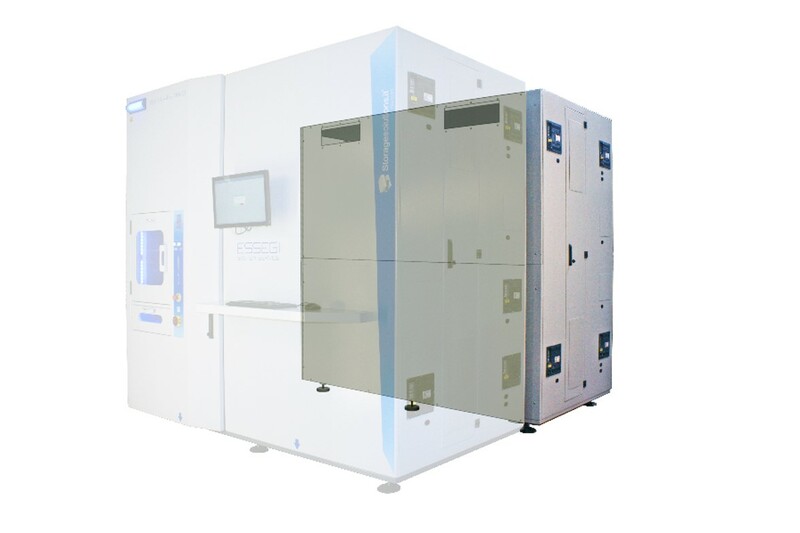 The flexible storage solution of the ISM 1100 allows flexible storage, intelligent monitoring as well as fully automatic insertion and extraction of up to 1,100 7“ reels on an effective area of just 1.6 m². During the fully automatic insertion and extraction of up to 27 reels there is no user intervention necessary. 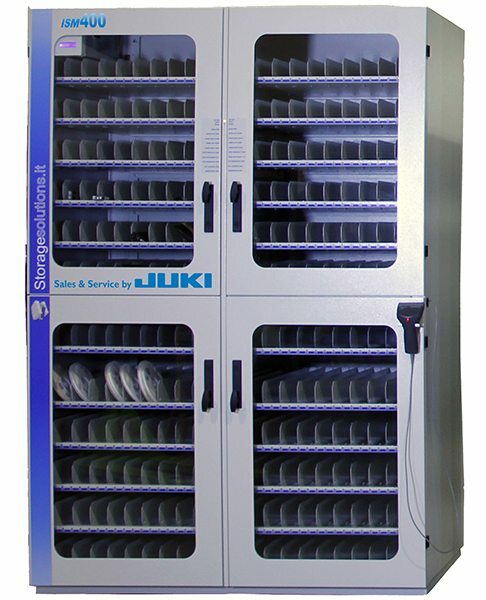 The ISM 500, JUKIs intelligent dynamic storage solution, has been developed to satisfy the storage needs of the most varied types of components. 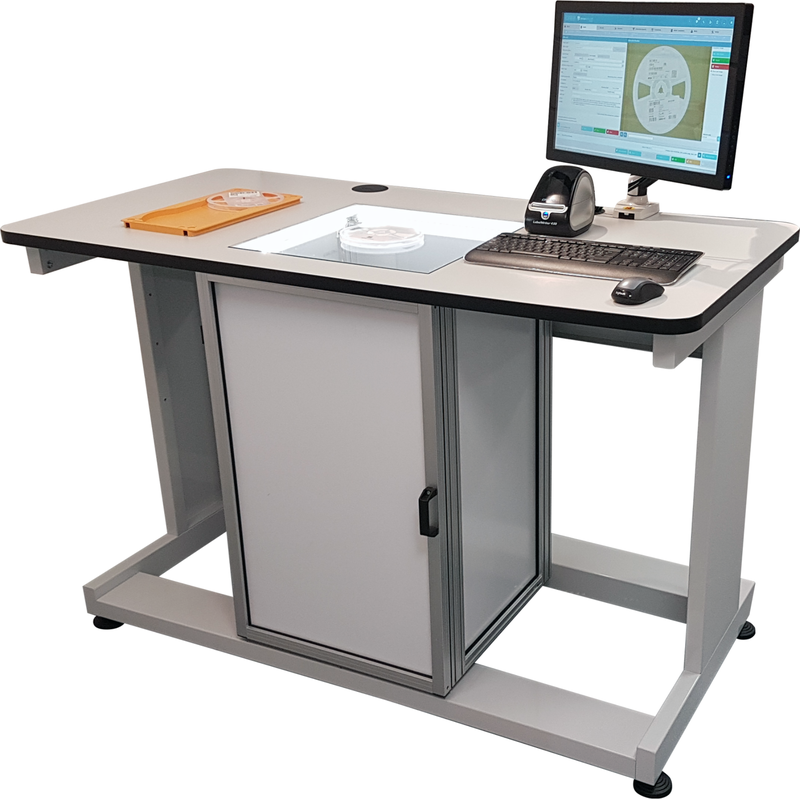 With the possibility to configure up to 640 different positions, the operator can insert 7“, 13“ and 15“ reels, JEDEC trays, SMT and THT tubes, screen-printing frames and foils, printed circuits, THT components etc. 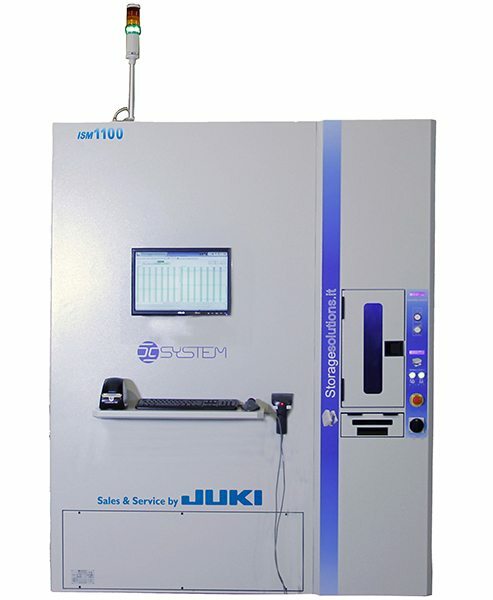 With the ISM 400 you can flexibly store 7“, 13“ and 15“ reels, trays, tubes, printed circuit boards, well-equipped feeder, solding pastes or screen-printing frames manually and monitor their insertion and extraction. 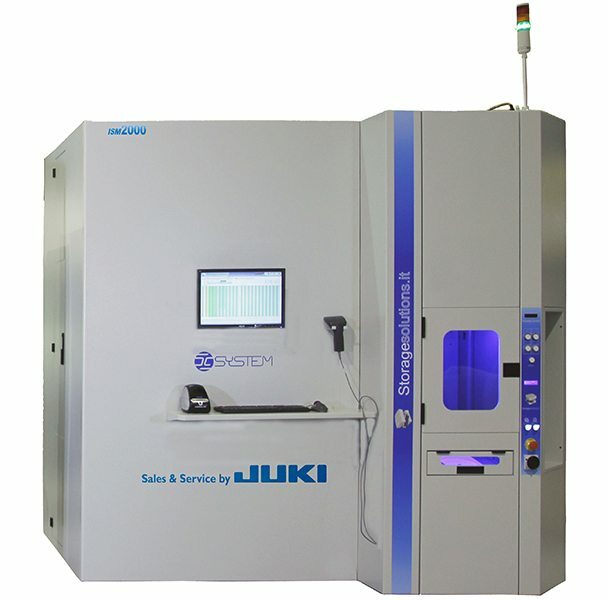 The different configuration possibilities of the ISM 400 satisfy the storage needs of the most varied types of components as well as operational and consumable resources of a modern SMT production. With the help of the optional humidity control module it is possible to constantly adjust and monitor the humidity level within the system. Tedious single steps and high allocation of personnel capacities nowadays affect productivity in the warehouse. Especially when it comes to receiving goods, valuable time is mostly lost until arriving material is available in the IT system and in production. Solving the problem: an automated incoming goods process including incoming goods scanner! Incoming material is scanned and the data is automatically matched with the database of the existing Enterprise Resource Planning system.  Complete retrievability and traceability is ensured at any time thanks to a unique ID that is created in the system – even for the smallest component bundles such as SMD reels, bars or sachets.